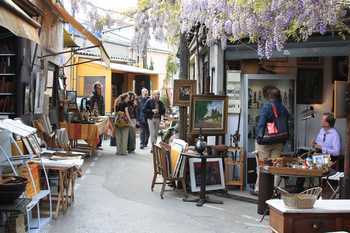 Right in the North of Paris, the Puces de Saint-Ouen, often called “Les Puces de Clignancourt” by Parisians, is actually a collection of 15 different markets. It’s quite simply impossible to leave disappointed. You can find virtually anything, for all tastes and all budgets. Go along the Boulevard d'Ornano and through the unofficial market, les Voleurs. Keep going through this one to get to the flea markets. Stop here to reach Montmartre, via the rue Mont Cenis. 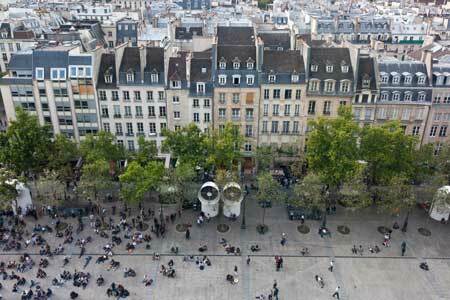 Make sure you pass through rue du Poteau for its famous market and neighborhood restaurants. If you like this area, why not rent a Lodgis apartment in 18th arrondissement to discover a cosmopolitan, bohemian and exotic neighborhood? – Find exotic products coming from Africa (Northern and Subsaharan). The market is very popular and sells exclusively African products. – Go to the marché Saint Pierre and its many adjacent shops to get hold of the fabric of your dreams. You simply can’t leave without a piece of material. – Stop here to access West Montmartre, making sure you go down rue André del Sarte for its award-winning boulangerie and creative shops. As you come out of the metro you’ll find the recently restored cinema, Le Louxor, and its terrace overlooking the overground metro L2. A superb 1920s building with a neo-baroque design, the exterior is a must-see. Furthermore, the recent opening of the Brasserie Barbès gives you an excellent reason to go and enjoy a delicious meal on the terrace of this neighborhood still quite unknown by the population and the tourists. This address is warmly recommended! For further information, don’t hesitate to visit the official website! These stops are for anyone catching a train or hoping to try the gilded, clasically Parisian brasseries found opposite the gare du Nord. Lovers of Indian cuisine can also go up rue Faubourg St Denis and choose from a handful of restaurants that serve typical «fusion» food. Crossing the East-West line, this station is situated halfway between the place République and the area of Opéra Garnier. Stop somewhere along the Cour des Petites Écuries, a lively pedestrian sidestreet, if you’re hungry or fancy a glass of wine in the evening. Right in the heart of Paris, you can find everything here! Restaurants galore on foody roads like Rue Montorgueil, new high-end, urban fashion shops like Rue Tiquetonne: there are shops of every kind! The Saint-Eustache church is certainly a must-see. Also, just a stone’s throw from here is the internationally famous modern art gallery, the Pompidou center, as well as Brancusi’s Studio and the Les Halles shopping center. Lodgis’ Tip : There is no doubt that choosing to live in the 1st arrondissement of Paris will place you right at the center of everything! Rent a fully equipped apartment in the heart of Paris. Get off at this station to start heading south, without forgetting the tour Saint-Jacques (if it’s open when you’re there you can climb right to the top) near the Pont au Change. 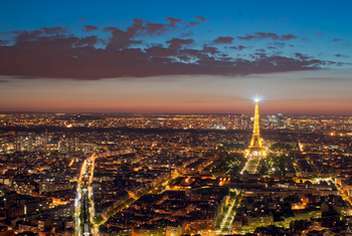 It’s one of Paris’ most beautiful views, both by day and night. If you head West towards the Pont Neuf, you can pass by the magnificent Place Dauphine and relax in the Vert-Galant park for a picnic or enjoy the view from the Pont des Arts. Or go east to visit Notre-Dame Cathedral and the Île Saint-Louis. This is a must-see for students. Enough said. Go and see the Abbaye de Cluny or the parish of Saint-Séverin, which dates from the XIII Century. The atmosphere is truly unique. Lodgis’ Tip : Rent an apartment in Paris’ 5th arrondissement on the Seine’s left bank. By day or night, you won’t be disappointed. Art galleries, restaurants and wine bars, trendy shops, cinemas… St Germain was historically the place for writers and intellectuals, and is still one of the most delightful areas of Paris. What is there to do at Denfert-Rochereau ? The Catacombs, of course… but don’t forget to go and have a glass of wine, buy some delicious foody products that you don’t really need or get something to eat on rue Daguerre. While you’re here, check out the Comptoir des producteurs, a store where all the fresh produce is directly sourced from local farmers! You’ve made it! This is right at the bottom of line 4, just outside Paris (on the other side of the ringroad). See its modern church, built from concrete in the 1940s and the towering clocktower that shelters this historic building. Did you enjoy this post? Get more inspiration for original trips around Paris by reading out post From Chinatown to the XIVth century castle of Vincennes!